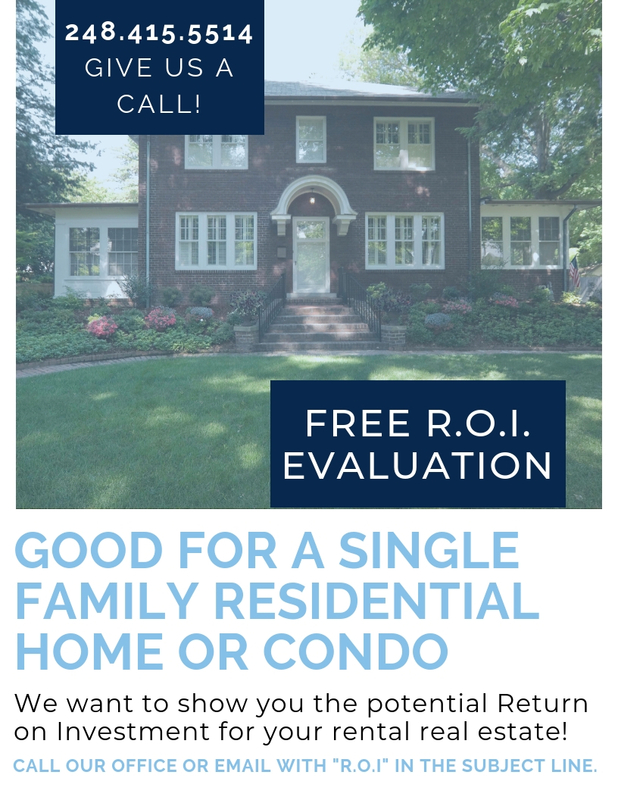 This offer is good for a single family residential home or condo. We can evaluate a property you currently own or a property you are contemplating purchasing. We want to show you the potential Return on Investment for your rental real estate. Please email us with subject line “R.O.I.” or call and mention this offer. We look forward to discussing your rental property’s income potential. These evaluations are dependent on market conditions.